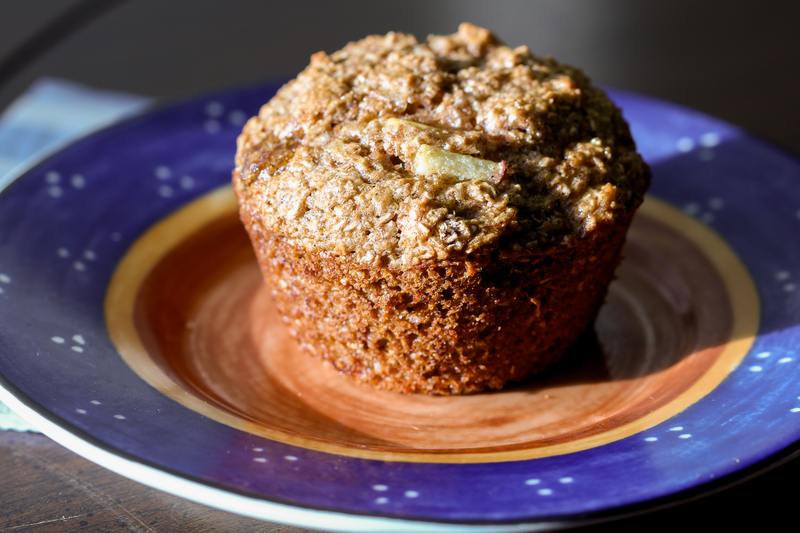 Muffins have gotten this really sweet rep as a breakfast food….however, muffins really are just cake in disguise. I mean, triple-chocolate muffins? Who are we kidding? By adding bran, bananas, and apples…at least you can say there is some nutritional value to this…but I’m not about to call them health food. Try them warm with some nut butter and fresh fruit. Or, try them in your car when you’re late for work. 1. Preheat the oven to 375F. Grease a 12-cup muffin tin. 2. 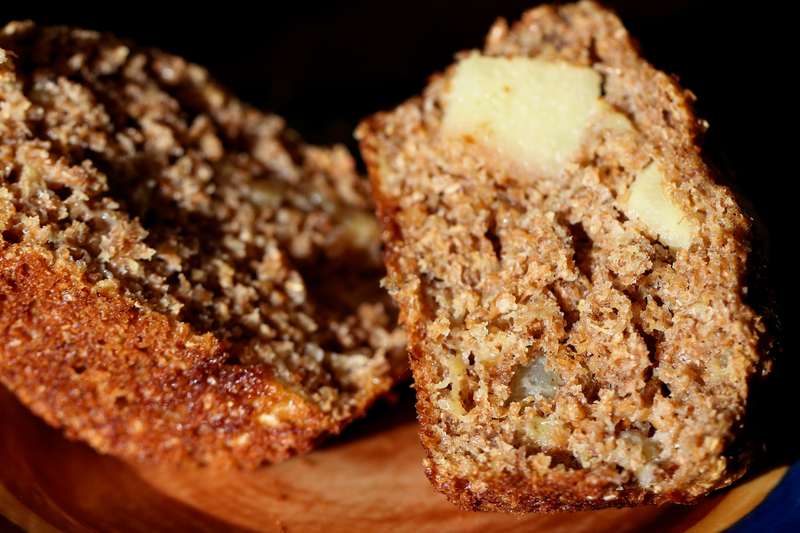 In a large bowl, combine wheat bran, flour, cinnamon, salt, baking soda, baking powder. 3. Combine mashed bananas, eggs, sugar, milk and oil. 5. Bake for 18-20 minutes or until a toothpick comes out clean. Allow to cool on a wire rack.